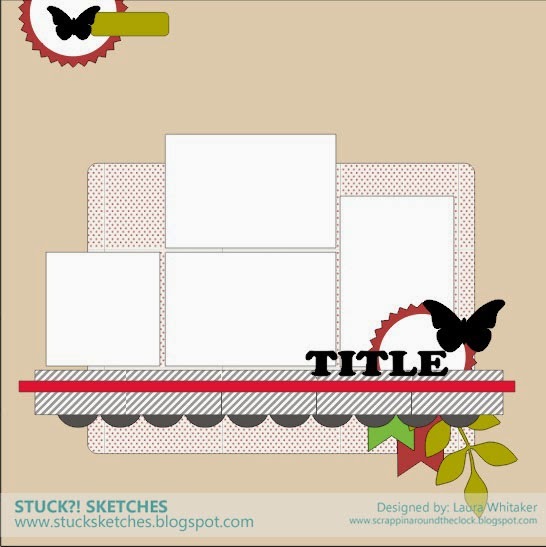 Here is another layout inspired by Stuck Sketches - December 1st sketch. I loved both of the sketches provided this month by Stuck Sketches! Here is my layout of the pups, Otto and Bentley, with their treats on Christmas morning - yep these guys are going to be even more spoiled than the last dogs that blessed this home! I wasn't able to get a good scan of this layout because it's so bumpy so I took a photo of it so it's not the best. What a great page, love the embellishing! Our pup was spoiled this Christmas as well, they are so fun with their gifts aren't they? Thanks fro joining us at Stuck?! Such a fun page! Love the embellishing! Our pup was spoiled at Christmas too, aren't they just so fun over the holidays! thanks for joining us at Stuck?! Love your layout! Great embellishing and the photos are adorable! They look like they really like their gifts! Thanks for playing along with Stuck?! That metal reindeer is to die for! Awesome job! Thanks for playing along with us at Stuck?! Sketches!! Click here to get FREE PHOTOS!